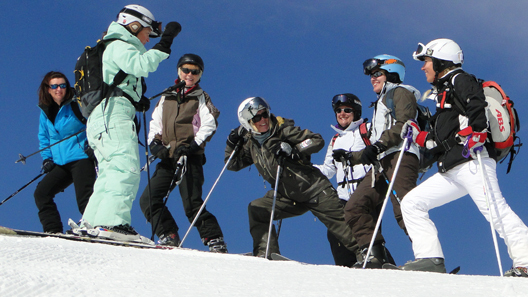 Snoworks All-Mountain Ski Courses are helping to revolutionise how skiing is taught. 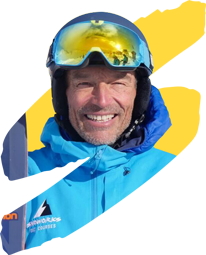 We have literally helped 1000’s of piste skiers become confident all-mountain skiers. Here’s just one of the many success stories. “The Snoworks All-Terrain Ski Course with Snoworks has transformed my skiing and my skiing experience. I participated in the All-Terrain Course. I am 45 and have been skiing (badly) for around 10 years, firmly stuck on the blues and reds and rather grateful to get down them safely. After undertaking the All-Terrain Ski Course with Snoworks, I am now truly an all-mountain skier. I have just returned from a long weekend in Argentiere where I have tackled every marked run in the Chamonix area with ease and in complete control, popped through the trees and into the powder bowls and skied off-piste from the top of the Grand Montets looking for the best snow and the most fun. With Snoworks instructions ringing in my ears I have had the tools to tackle hugely differing conditions from piste to powder. Skiing after a Snoworks Course is truly a different experience as you survey the mountain looking for fun and good snow, confident in your ability to rise to the challenges of the terrain. I still aim to do another course just for the sheer fun of it! I can’t recommend the Snoworks Ski Course enough, it totally transformed my skiing in 15 hours! I am never balking at a piste marker again wondering what obstacles it will throw at me down the mountain, I am an all-terrain skier!